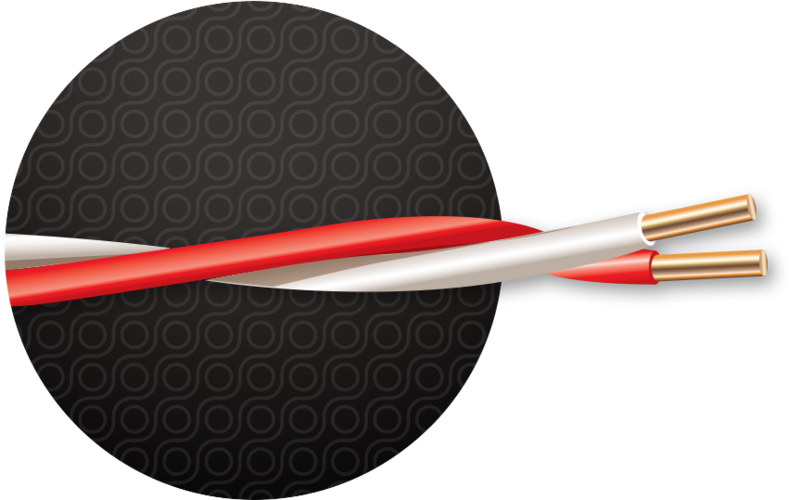 Cerrowire® bell wire is great for use in connecting call bells, buzzer break systems, door bells, etc., on low-voltage battery or transformer circuits. The multi-conductor assembly makes this wire suitable for furnace controls, etc. Polyvinyl chloride (PVC) thermoplastic insulation. 2 soft bare copper conductors are cabled together with a 3.0″ left-hand lay without fillers.